It's about time we stopped talking about all this sensible software stuff for a moment and got down to what it should all be about - some good, fun, open source games. Today's serving is Battle Tanks, which as the rather inventive name suggests, involves controlling a battle tank and thoroughly blowing things up. Once you launch the game, you can very easily and quickly jump straight into a map. 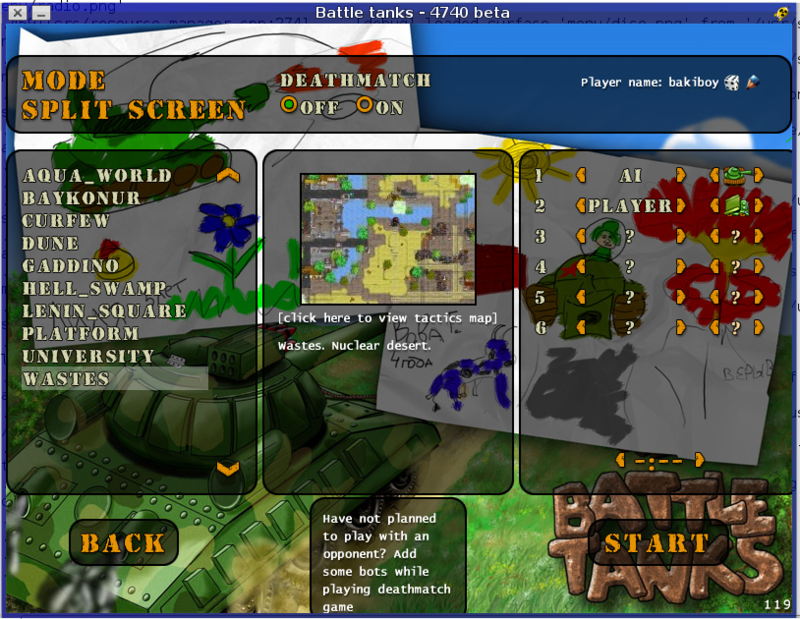 From the home screen, you can select a map and add additional computer-controlled players (or human players) on the right so you have some opponents. 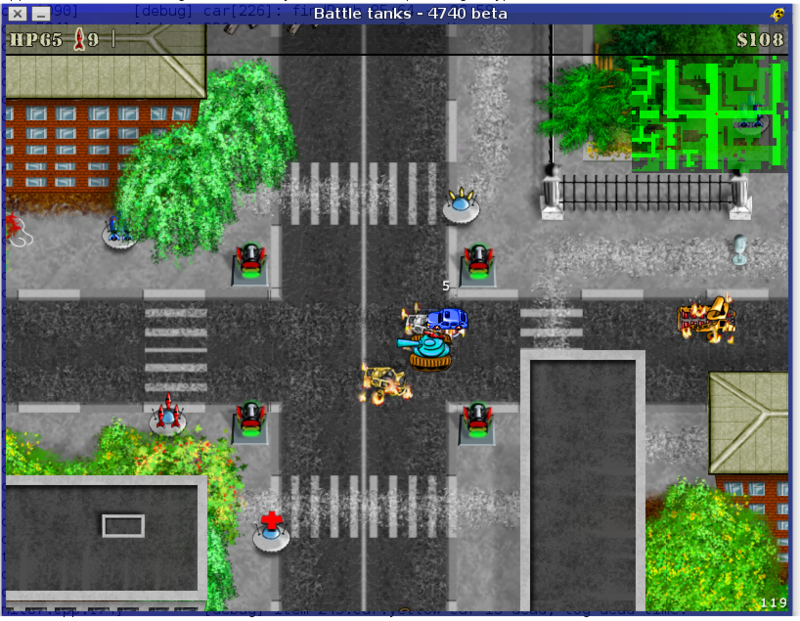 You are in control of your battle tank in a smooth birds-eye 2D world (although the graphics are sped up with OpenGL, so if you don't have the drivers required performance may be sluggish). You can get started destroying things straight away. Pressing Ctrl is the key to fire, while the arrow keys allow you to manoeuvre your vehicle. Provided you've set up one or more other players on the map select screen, it's now a simple matter of finding your opponent(s) and shooting them down before they get you. It is a very simple game, but it's highly addictive and great fun. My only major complaint with it, which isn't really a failing of the game itself is the default control set. Using the Ctrl key as fire and the arrow keys is fine, but my Compiz setup uses Ctrl+arrow key to switch desktops, so I frequently kept accidentally switching desktops. It is very simple to change the keys however, in Options and choosing Redefine Keys. Call it over-simplified, unimaginative, but Battle Tanks is plain good fun and is definitely recommended.